The Aperture Loupe tool is one of its many excellent features, but it’s easy to get confused by the zoom and loupe size options. The keyboard shortcuts look so similar it’s hard to remember which does what, and if you’re anything like me, you end up going round in circles. 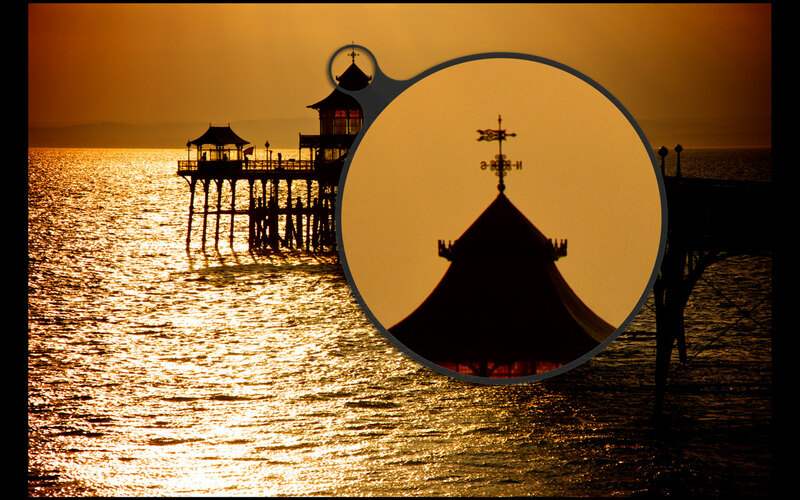 So I thought I’d better study these Aperture Loupe options properly just to get them straight in my own head – and you might find them useful too. 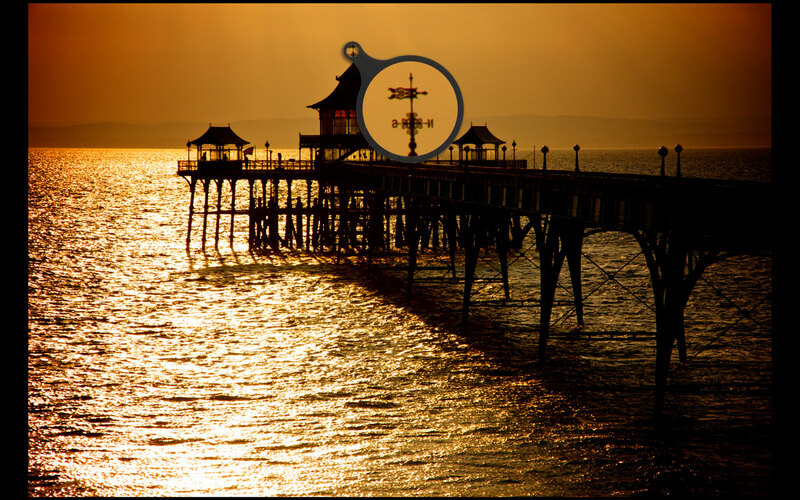 If you activate the Loupe with the ‘ key, you can then right-click on the image to access the Loupe options, on a sub-menu right at the bottom of the shortcut menu. And here they are. I’m just going to concentrate on the Increase/Decrease Zoom and Increase/Decrease Diameter options, because I think these are the ones that give the most trouble. These change the Loupe tool’s magnification. The size of the Loupe tool itself stays the same. Here are two screenshots that show the effect. 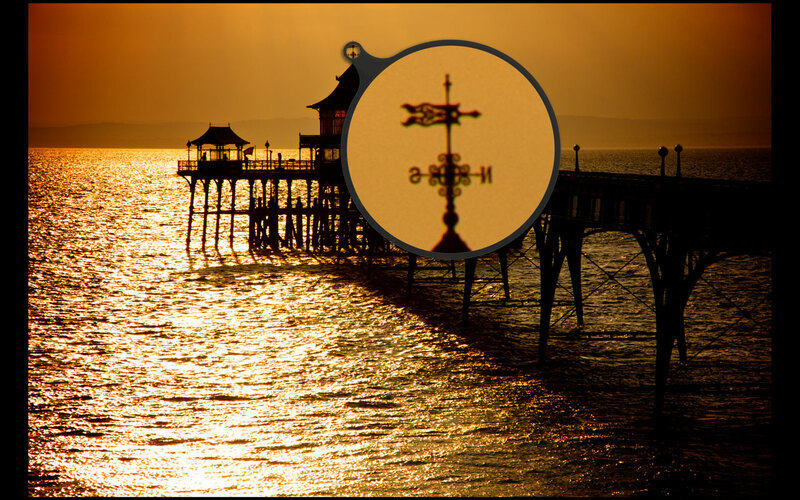 Here, the zoom setting is quite high, so the weathervane on the top of the pier pavilion almost fills the loupe window and you can see the individual pixels – you can click on this image to view a full-size version. But if I use the shift-command– (shift-command-minus) shortcut, the zoom setting is reduced so I get to see more of the image, at a lower magnification, in the Loupe window. This is what the lower zoom setting looks like. But although the magnification is lower, the size of the Loupe window stays the same. If I want a higher zoom setting again, I use the shift-command-+ (plus) combination. OK, so that’s how to change the Loupe magnification, but you can also change the size of the Loupe with the shift-alt keys. 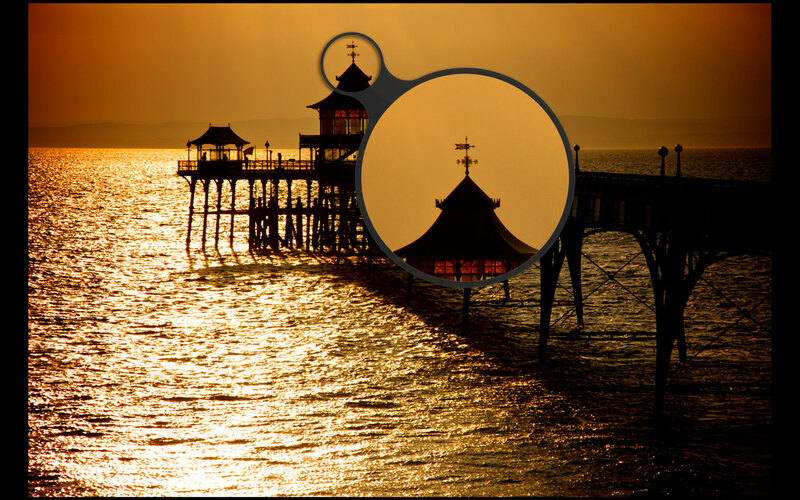 Here’s a small Loupe window, achieved using the shift-alt– (minus) combination. And here I’ve made the Loupe window much larger by using the shift-alt-+ (plus) keyboard combination. The key point here is that although the size of the Loupe window has changed, the Loupe magnification has stayed the same. 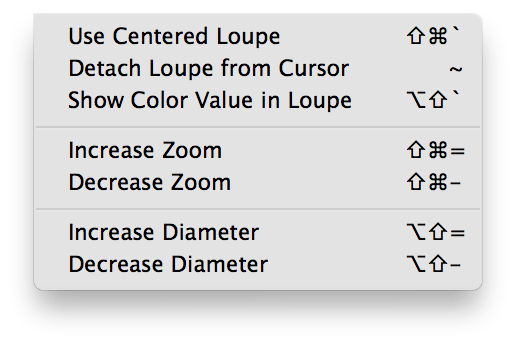 The Loupe zoom and Loupe size options both use the shift and =/- keys, but the third modifier key is different. You use the command key to change the zoom setting and the alt key to change the Loupe size.